Rachel King takes Qatar by storm! 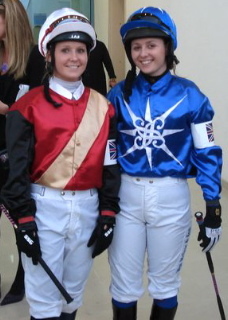 Representing Great Britain for 2011, in the first Fegentri ladies’ race of the season RACHEL KING enjoyed a placed ride yesterday in the Arab race in Doha, finishing second. She followed up with a winner there today which projects her into the lead in the championship tables – what a dream start! Many congratulations to Rachel! CHRIS MARTIN NEW ALL-WEATHER CHAMP! Many congratulations to Chris Martin on winning this season’s All Weather championship after a nail biting finish to the championship today at Wolverhampton. Amateur All Weather Championship decided today at Wolves! The first two races on the card today at Wolverhampton are the final two amateur races of the all weather season and the battle for the championship will be concluded. With multiple champion Simon Walker currently in runner-up slot but riding abroad in Saudi, this leaves the championship secured by Chris Martin unless Becky Brisbourne managed to ride a double today! Good luck to all our riders at Wolves! Congratulations to JONATHON BEWLEY on a great ride today to score on Teerie Express at Newcastle over fences on his second ride back from a long lay off after injuring his shoulder last September at Perth. Prominent early on, Teerie Express made good headway to challenge favourite Jeringa and was only a length down and staying on well when a mistake at the last looked as if he would be denied victory, only to make a great recovery and stay on again to take up the lead just before the line! All amateur jockeys will have a received a letter with their riding permit confirming the number of wins recorded at the BHA and asking you to contact Licensing if your records are incorrect. Licensing can be contacted via the BHA switchboard on 0207 152 0000. A reminder of the dangers of our sport were brought home to us today with tragic news from Ireland of the death of teenager Jack Tyner. Our deepest condolences go to his family. 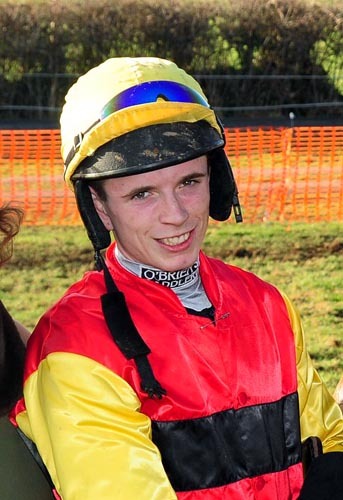 Jack took a terrible fall at Dungarvan point-to-point last Tuesday and has been battling for his life ever since. Jack actually rode a winner that day on Exitnell. 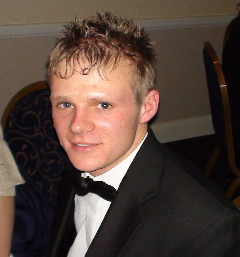 Jack was taken to Cork University Hospital where he died this morning. He was nineteen.